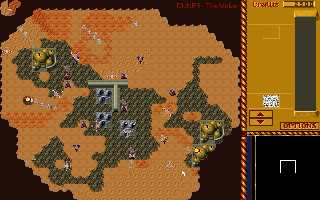 It has been a while, in the meanwhile i learned C/C++ and mostly by writing a first attempt for a dune 2 engine with the Allegro library. (This first attempt is not worth a play, but its worth a look in the source). I also worked very hard on a bot called RealBot. But sometimes i got tired of writing the bot and then i went in to the Duniverse again. 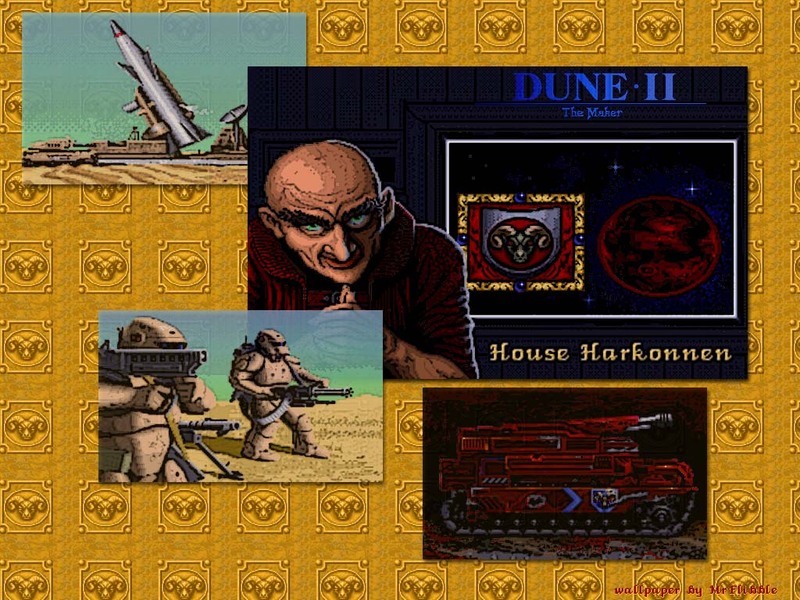 Slowly Dune 2 - The Maker was born. Especially when i went on vacation with only my D2TM source and no internet connection. I made a lot of progress there. The project is still in development, but slowly. There are moments when i have a few minutes left and then i try to dedicate it to this project. 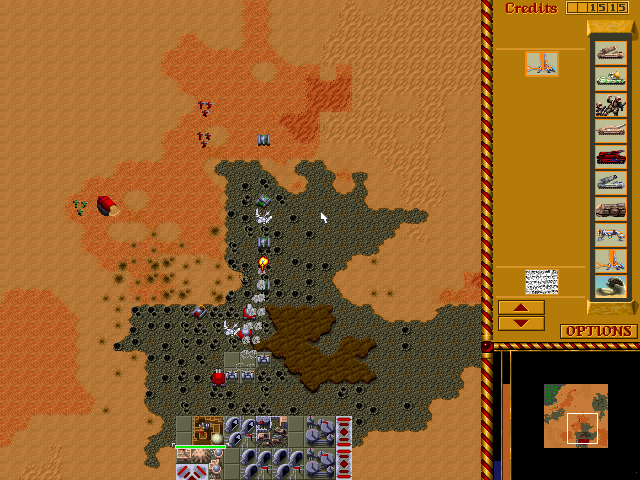 Slowly i am polishing this game to resemble as much as i can , what i call, the Dune 2 'feeling'. Most clones out there are fun to play. 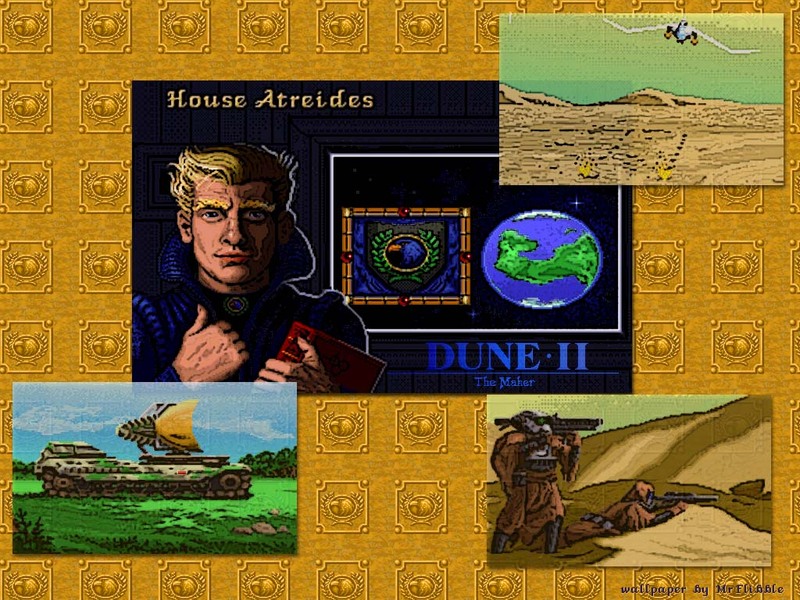 I used to play Dune Legacy a lot. Yet, i missed something. I try to accomplish this with my own project. 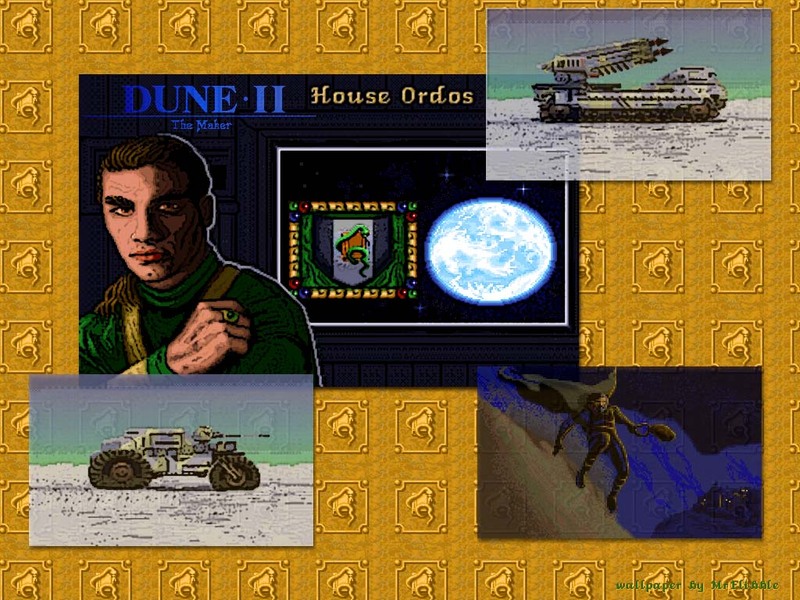 This version does run on every machine with Windows 95 or higher. It has been tested mostly on Windows XP machines. I also tried it once on a Windows 98 machine and it ran fine. 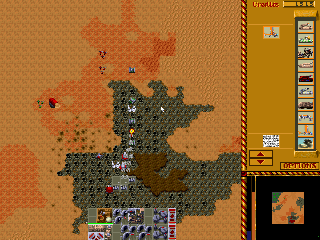 This version is capable of running in a very wide range of resolutions. It automaticly adapts the renderer. The sidebar exists out of components instead of 'one or two pictures'. Be adviced when running the demo, to select "single mission" and then hit play. All other options do not work yet (properly)! Want to try this out? Grab the demo at the downloads page.